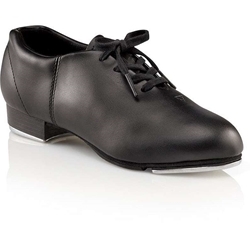 The Capezio adult fluid tap shoe is perfect for dancers who are just starting out in tap. Shoe is available in black adult size 4M – 14M. Women order street shoe size, men order two sizes up.